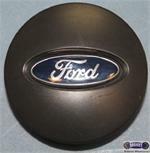 3529, CENTER CAP USED, 17", 03-05, FORD, EXPLORER, [DARK GRAY] PLASTIC WITH BLUE FORD OVAL, PLASTIC CLIPS WITH WIRE RING. 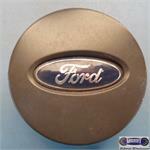 2-1/2" DIA, ORDER UNDER 3625a,=CHROME 3625d= DARK GREY, CENTER CAP. 5003a, CENTER CAP USED, 14", 91, CHEVY, CAVALIER. RECESSED CAP 5 LUG HOLES, DARK GRAY WITH BLACK OUT LINED SILVER BOWTIE. 6-1/2" DIA. 5031b, CENTER CAP USED, 96-04, CHEVY, BLAZER, S10/S15. DARK GREY, OUTLINED GOLD CHEVY BOWTIE, PLASTIC CLIPS & ALIGNMENT PIN. 3" DIA. 5031b, CENTER CAP USED, 96-04, CHEVY, BLAZER, S10/S15, DARK GREY WITH OUTLINED GOLD CHEVY BOWTIE, PLASTIC CLIPS & ALIGNMENT PIN. 3" DIA. FOR A USED 15", RIM. 5031b, Used Rims, 15" 96-04 CHEV BLAZER S10/S15, SONOMA, ALUM 5 SPOKE, GREY ACCENTS. 5034,CENTER CAP USED, 16", 94-96, CHEVY, BERETTA, DARK GREY PLASTIC CAP, RED OUTLINED CHEVY BOWTIE, 5 LUG NUT HOLES, PLASTIC CLIPS 7 WIRE RING, 5-3/4"
5034, CENTER CAP USED, 16", 94-96, CHEVY, BERETTA, DARK GREY PLASTIC CAP, RED OUTLINED CHEVY BOWTIE, 5 LUG NUT HOLES, 5 PLASTIC CLIPS, WIRE RING, 5-3/4" DIA. 5040b, CENTER CAP USED, 15", 95-04, GMC, S-15, JIMMY, ENVOY, SONOMA, DARK GRAY WITH RAISED 7/8" HEX NUT IN CENTER ENGRAVED RED GMC LOGO, FOR STEEL RIM. 6-3/4" DIA, BE SURE TO CHECK PART# 15998644 A=CHEV. 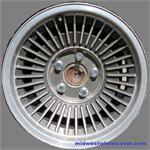 5095a, HUBCAP USED 14", 86-87, PONTIAC FERRO. CHROME OUTER RING SILVER WITH DARK GRAY IN POCKETS, 3 SPOKE, ENGRAVED WORD PONTIAC, ON OUTER EDGE OF HUBCAP, 3 LARGE METAL CLIPS, A=GRAY POCKETS B= GOLD. POCKETS. 53044b, HUBCAP USED 15", 94-96, NISSAN, ALTIMA, DARK GREY, WITH RAISED CHROME LOGO IN CENTER, 5 HOLE TYPE, 7 PLASTIC CLIPS & WIRE RING. 58740, CENTER CAP USED, 01-05, AUDI, ALLROAD, MACHINED OUTER RING, 5 WINGS MATCH SPOKES, DARK SPARKLE GRAY CENTER, CHROME LOGO, 5-3/4" DIA.